Print the support letter, fill out your Name, Address and sign it and mail it to the address at the bottom of it. We will address it to your State Senator and Assemblymember and deliver them to their Albany Offices. Were you successful Hunting with a Crossbow in 2018? 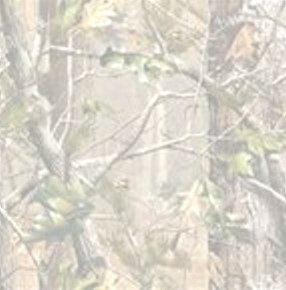 Buck, Doe, Bear, Turkey, Coyote, Fox or any other animal? Send a picture along with name and town where you harvested it and we will post it on our Wall of Fame. Pictures may also be used on our display at shows in the future and other advertising. In mid February, 5 submissions will be randomly drawn and those people will have a choice of a NYCC Hat or Tee Shirt. This is not a "Biggest" Contest. It is to show the support and success of crossbow hunting in NY! Being denied the ability to use your crossbow until the last 10 Days of Northern Zone and 14 days of Southern Zone Archery Seasons? 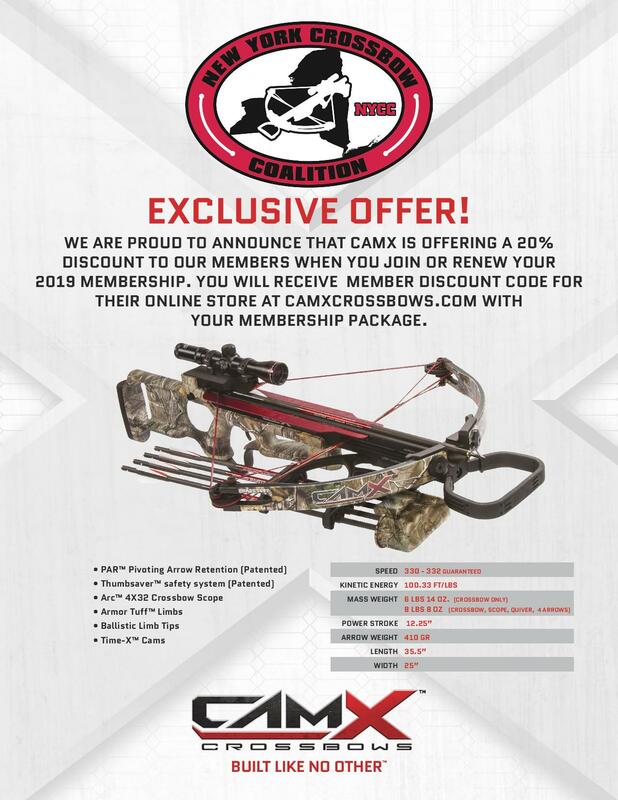 Having to purchase a Muzzleloader Privilege instead of a Bow Privilege to use your Crossbow? With the 200 lb. draw weight restriction that eliminates many recurve crossbows? With the minimum width restriction that eliminates the new reverse limb crossbows from Horton and Stryker because the widest point is not at the tip of the limbs? A Crossbow is another form of a Bow and should be classified as Archery Equipment, as it is in the majority of other states? 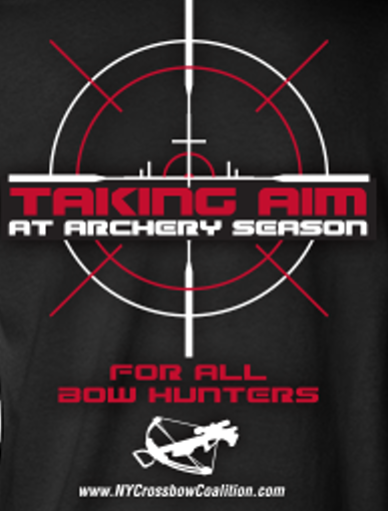 A Crossbow should be legal for all game, during all seasons, and in any location where Archery equipment is permitted? A Crossbow should be permitted during the Youth Deer Hunt over the Columbus Day Weekend? A Crossbow should be legal for Bowfishing? A Crossbow should be legal in ALL Archery Only Areas?